The announcement of new trends always gives me mixed feelings. On the one hand, it’s very exciting. I’m a fashionista at heart who thinks fashion is art and I don’t mind going out on a limb and wearing items that are a bit more out of the ordinary. I think the evolution of styles is incredibly intriguing and each new trend is just fuel to the fashion flame. On the other hand, trends are aggravating. As an image consultant, I spend every day talking to clients about their appearance. Trends can be one of the most confusing things for clients (I am I too old to wear this? Should I invest in this, or is it going to become passé in a year?). A lot of times, I encourage people, especially those who get hung up on trends, to opt for a more classic route and even buck trends all together. With that said, I am going to hash out some of the biggest trends of this Fall/Winter. If you’re a daring fashionista- this may not be the right article for you. If you live a life that calls for more mainstream fashion- tune in! I’ve researched several trends across websites like Vogue, POPSUGAR, Elle, etc. I will be using the trends POPSUGAR suggested due to their conciseness (they really focused in on the main trends instead of supplying a laundry list of items) For the full POPSUGAR article, click here. Pictures are from POPSUGAR. Leslie’s Take: A lot of these bohemian pieces are too long for the average person to wear (without looking squat). Many of the skirts also have flounces at the bottom that are not flattering. Over the top boho embellishment is hard to wear multiple times before people start to notice that you’ve worn the same dress 7 times in the past 2 weeks (you won’t get your money out of it). Unless you are 22, live in New York and work in fashion…avoid. If you do want to try this trend- choose something you would be happy wearing again in the spring…because that’s essentially what it looks like: spring fashion. 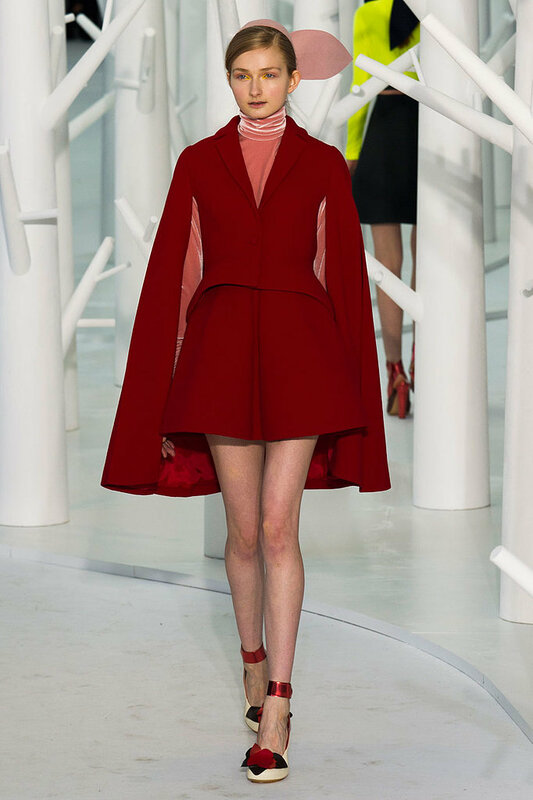 Leslie’s Take: Capes are wonderful! Don’t buy a cape if: 1. you will fidget with it or 2. you don’t know what to wear under it (unless you seek help, you will never wear it). Choose a cape that is 3/4 of your body in length (otherwise, you’ll like like a lampshade) and will coordinate with pieces you already own. 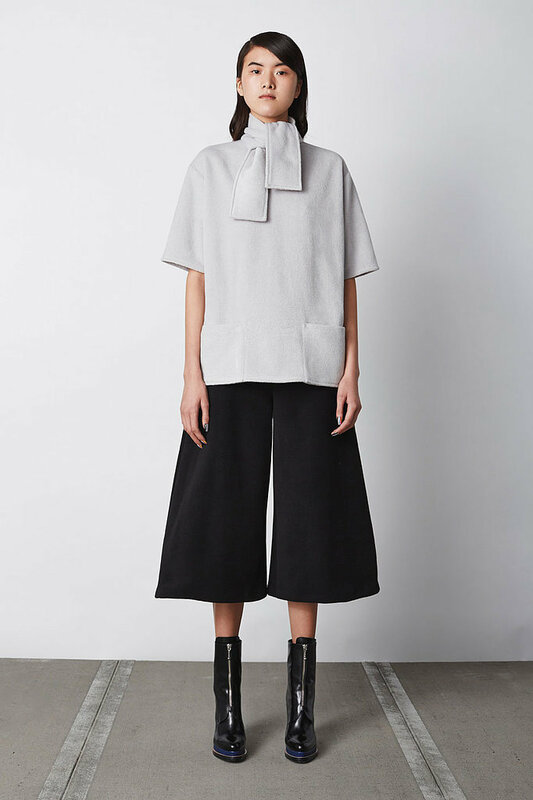 Leslie’s Take: Culottes work for tall, thin people who work in extremely fashion forward environments. In other words- Avoid. There aren’t many people that can wear culottes and make them look good. Their time in the spotlight will probably be brief. Leslie’s Take: Fringe is a great trend because there is so much you can do (or not do) with it. While someone younger may choose to buy a fringed mini dress or suede fringed jacket from Forever 21, it can also manifest itself in more mature ways. The scarf pictured above is a more versatile option that would be a wise long term investment. Main point- anyone can do fringe. In general, the amount of fringe you wear should be a sliding scale based on your age (more fringe- younger, less fringe- older). Leslie’s Take: Anyone can wear grey. You can’t go wrong investing in grey pieces, so take this trend to town! Just to make sure you select the right color grey. Not to get all art school, color theory on you, but…some greys are more blue and some are more red. Be sure to choose ones that compliment your complexion and not wash you out. Leslie’s Take: Remember what I said about the fringe? The same applies here. Anyone can wear shiny fabrics, however, the older you get the more you should tone it down. Think- blouse with metallic details paired with tailored pants rather than the back to the future mini dress above if you are older. Leslie’s Take: Pastels are tricky. If you have a dark complexion, pastels are your bff. If you are like me (ahem, pasty as mayonnaise in the middle of the winter) pastels can make you look like you belong in a newborn’s nursery, not a chic event. Pastels are also very taste specific. Don’t buy anything pastel unless you truly love the color AND it looks good on you. If you can’t fulfill both of those requirements, skip it. Leslie’s Take: I LOVE plaids. There are so many sophisticated plaids (like the one above) to choose from now days. Tip: pick out a plaid that has both browns and blacks in it. This will give you the versatility to wear it with both browns (and navy) and also blacks. There’s a reason the Burberry plaid has been around for so long. Embrace it! Leslie’s Take: Maybe you’ve heard the expression- “If you wore it the first time around, don’t wear it again”? Yeah…that applies to shearling. 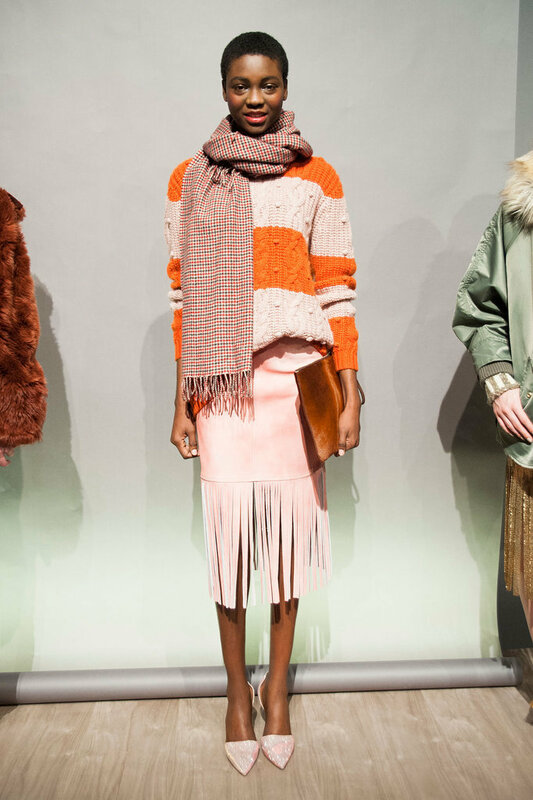 If you’ve never owned anything shearling before and you’d like to have fun with this trend- by all means go for it! If you’re one of us who has worn it before, I would let this trend go by. If not, you’ll end up looking like you’re trying to rehash the 70’s. As I pointed out, this is just a general guideline for the ‘average’ person who is considering what trends may or may not work for them. Remember, the best accessory is always confidence and with confidence you can wear anything.